Questions and answers | CrowdFarming - I have forgotten/ lost my password, what can I do? All Categories ​>​ User Account ​>​ I have forgotten/ lost my password, what can I do? I have forgotten/ lost my password, what can I do? On our website, click on “My Garden” in the upper right part of the page. Above the “Login” button, click on the link “Forgot your password?”. A window will pop up, so you can enter the email address you registered the account with. 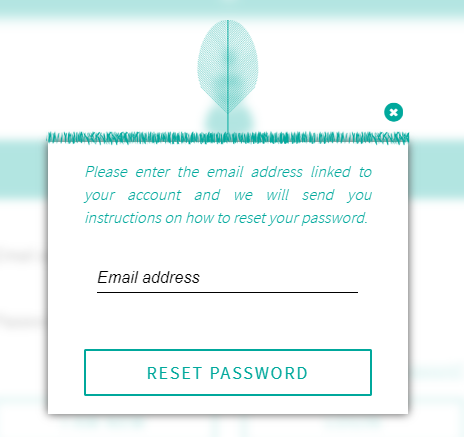 Click on the link in this email to select a new password and regain access to your account. Should you have any issues or require further help please contact us and we will be happy to help you! I haven’t received my shipment yet, what can I do? What do I need to do to return my adopted unit? What can I do when I’m not satisfied with the harvest I receive?